Car insurance; it’s one of those everyday bills that we don’t particularly like paying for, but we really can’t afford to be without. Whether your car is worth several hundred dollars or several thousand dollars, insurance is essential to cover your expenses in the event of vehicle damage or injury to yourself or others. There are two main types of car insurance; comprehensive cover and third party cover. Comprehensive insurance - also known as “full cover”- insures you for a wide range of events that could damage your car. Third party insurance, on the other hand, generally only covers damage to other vehicles, with an option for adding on fire and theft coverage. The cost of vehicle insurance depends on a range of factors, including your car’s make, model and year, the number of drivers and if there are any major modifications or accessories. New Zealand’s leading insurance providers offer various payment plans, which can also affect the overall cost. 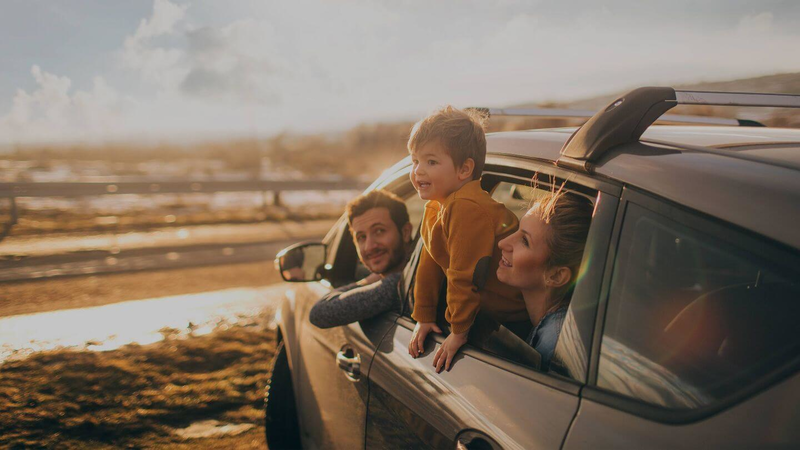 To help you decide what type of car insurance you should get, we’ve listed everything you need to know about vehicle insurance options and what policies can benefit you best. Full comprehensive insurance is highly recommended for those who are looking for complete reliability, protection and security with their cover. This type of insurance covers the cost of damage to not only your own car, but to other people’s vehicles and property as well. While comprehensive insurance provides “full cover”, there are also optional extras that you can add on to your policy if you require it, such as excess free glass cover, rental cover and roadside assistance. Although you may not think you need such comprehensive insurance, consider for a moment the financial loss you’d face if your car was totalled. Could you afford to simply replace it? If not, full coverage is your best option for insurance. Comprehensive insurance costs will vary depending on a number of factors, including your location, how often you drive your car, where it is parked at night and what kind of driver’s licence you have. Costs average around $680 per year, however you may get discounts for signing up online or for having multiple policies. Third party car insurance is the most basic car policy available from insurance providers. With third party cover, it’s not so much about protecting your car; it’s about protecting yourself if you were to accidentally damage someone else’s vehicle or property. It’s important to note that this type of insurance has no cover for your vehicle if you’re involved in an accident where you are at fault. So if you were at fault in an accident and your vehicle was damaged or totalled, you would be responsible for the costs involved with repairing or replacing it. If you couldn’t afford to replace your vehicle if it were totalled, your best option would be full comprehensive car insurance. Third party insurance is best suited to those who have very low value vehicles; where it would cost more to repair the car than it would to replace it completely. As there is significantly less cover in third party insurance, you can expect to pay a fraction of the cost of comprehensive insurance. The average costs for third party cover is $150 per year, and will vary depending on your vehicle details. If comprehensive cover doesn’t fit your budget, but you’re looking for a little more cover than standard third party, this is the ideal option for you. Third party with fire and theft insurance provides the same benefits as the standard cover, as well as cover for fire and theft. For even more peace of mind, most insurance companies provide optional add-ons as well, such as roadside assistance and claim-free windscreen and window glass repairs. Having fire and theft covered with your third party insurance is roughly double the price of regular third party insurance, so you can expect to pay around $300 per year. How much will my car be insured for? You can generally choose between to options when you first insure your car comprehensively. Either an “agreed value” which is a specific amount that you nominate, or “market value” where a reasonable replacement cost is determined at the time of the loss. Are all modified cars covered? Do I automatically get roadside assistance as part of my cover? It all depends on what type of cover you have; if you have full comprehensive car insurance, many policies include a 24/7 roadside breakdown service. Third party cover doesn’t include roadside assistance, however it can be added to your policy for an additional cost. Do I need to list all of the drivers on my policy? Most vehicle policies have an automatic open driver cover; this means anyone over the age of 25 with a full NZ driver’s licence (with a clean driving history and no criminal convictions) are automatically covered. Any regular drivers under 25 who don’t meet this criteria should be listed to your insurance company. There are a few ways that you can save money on car insurance. For starters, you can select a higher excess to help reduce your premium. Or, some insurance companies offer discounts when you choose to pay annually. If your kids are driving your vehicle regularly, you should add them onto your insurance policy. While the rules around this vary depending on the insurer, it’s better to be safe than sorry! Having them listed on your policy will ensure that your cover is still valid if they are the driver involved in the accident. Kids over the age of 25, with a full New Zealand driver’s licence, are generally automatically covered under full comprehensive insurance policies. Are you ready to find the best deal on car insurance? Here at Glimp, we’ve gathered the top car insurance deals from NZ’s leading vehicle insurance providers. Companies such as Cove and Protecta Insurance are currently offering some great sign up deals to get you on board. With Cove, you’ll get your first month of comprehensive insurance for free! And Protecta are offering new customers $30 off their annual premium with third party or comprehensive cover! You can use our online comparison tool to find the best deals for your vehicle needs. We’ll list the top insurance deals with all the details you need to know about what’s included in the cover.